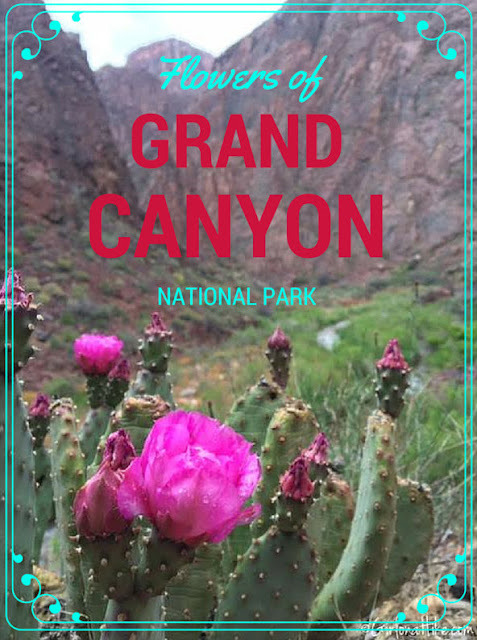 I found most of these near or along streams, but some of them were right along the Bright Angel Trail. 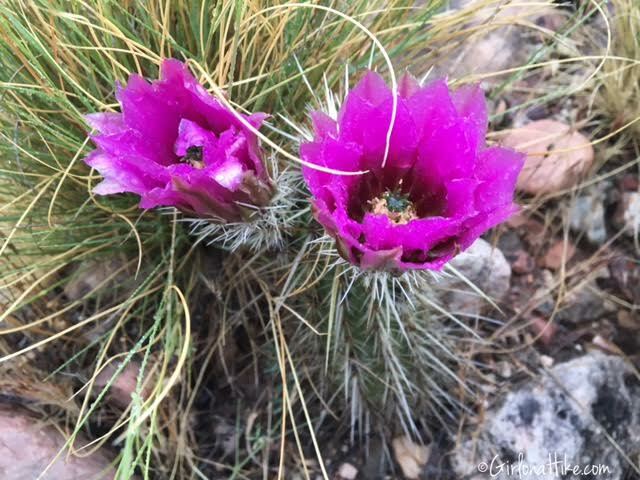 Most of these flowers have a short blooming season, so timing is everything to catch them! 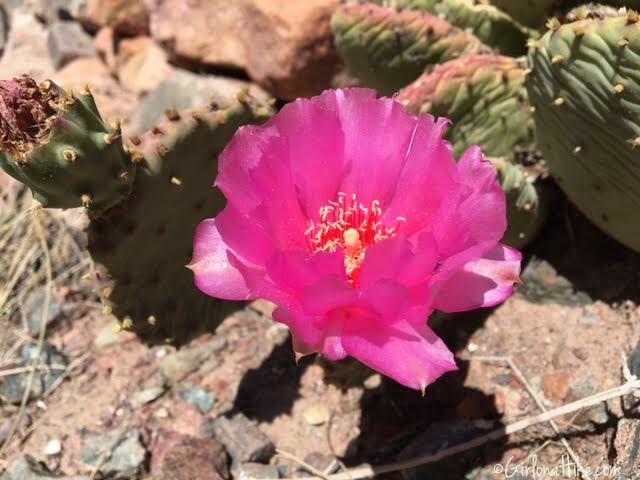 Prickly Peak cactus fruits were widely used for food by Native Americans. Most of the spines were removed by sweeping piles of fruit with sagebrush branches or burning them off. This plant has numerous barbed glochids (hairs) that are easily dislodged when the plant is touched and they get stuck to the skin where they are hard to see and remove. Touching this plant is not advised. 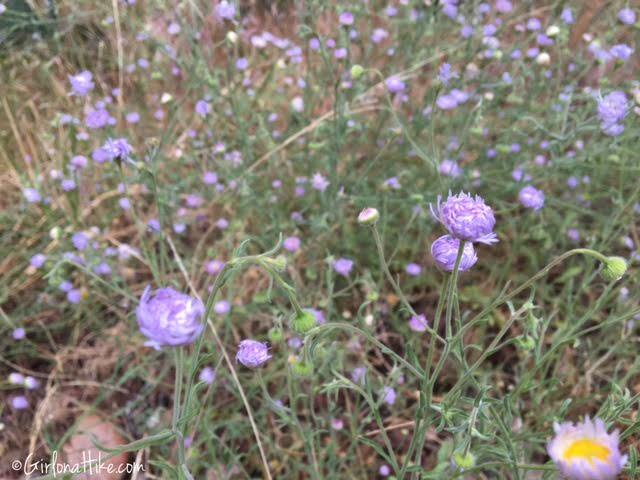 I had a really hard time finding any info on this specific type of flower, but my best guess is a variation of a Thistle. If anyone know the name please post it below! 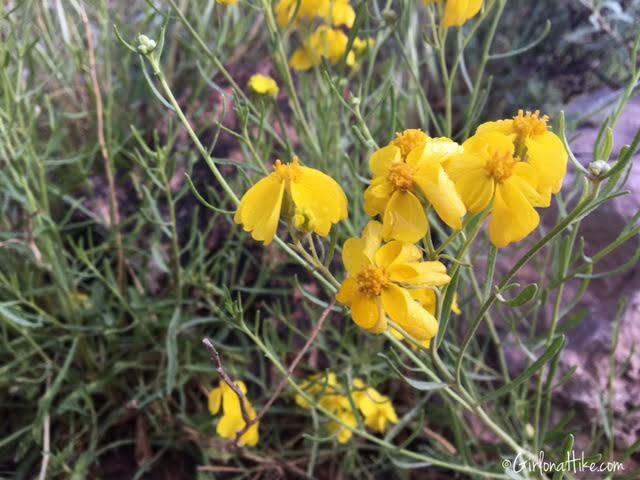 This plant is typically found near sagebrush on desert plains to low mountain slopes. 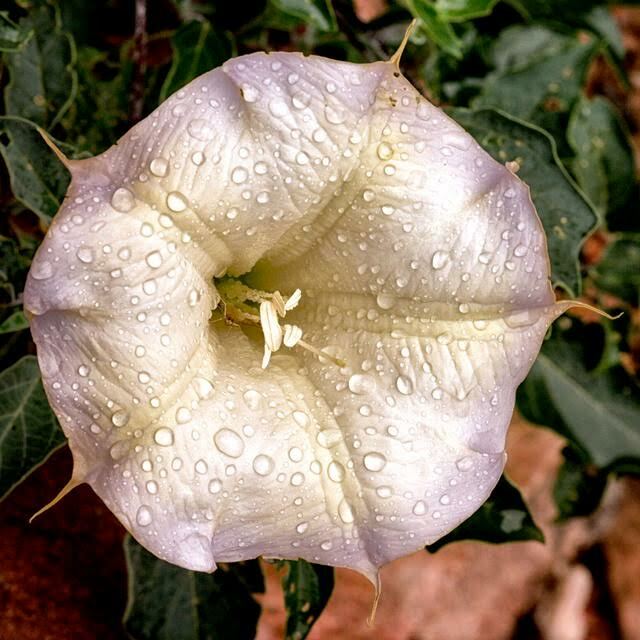 A.K.A Jimson Weed or Devil's Snare, this trumpet shaped white flower has a very flowery scent, yet it is very toxic. It is not recommend to touch or eat this flower. Photo by @iBoyer. 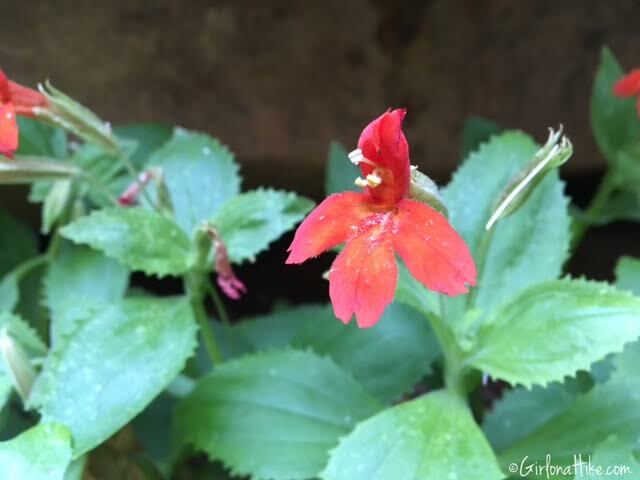 This four-leafed red flower is often found near the edges of creeks, and is popular among Hummingbirds. 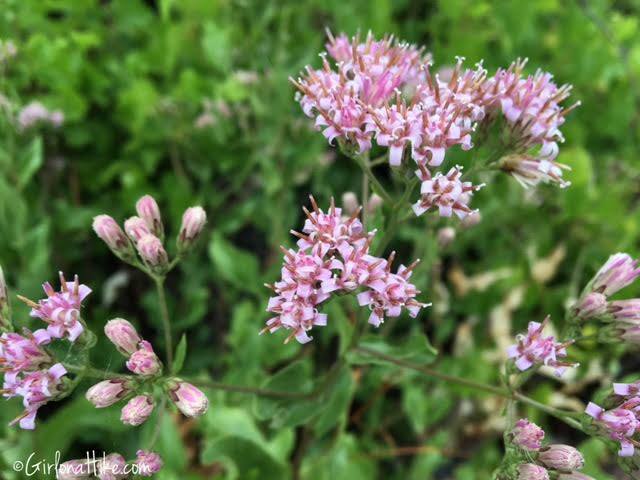 Despite this flowers' name, it is actually a light pink center with light white on the edges. These flowers have a floral honey scent. When fully open the rays tent to droop downwards, and when they age they become thin, brown, and papery, hence the common name for the paper flower. Vibrant deep purple and pink, these flowers open in late afternoon (hence the four o' clock name) and close in the morning hours. 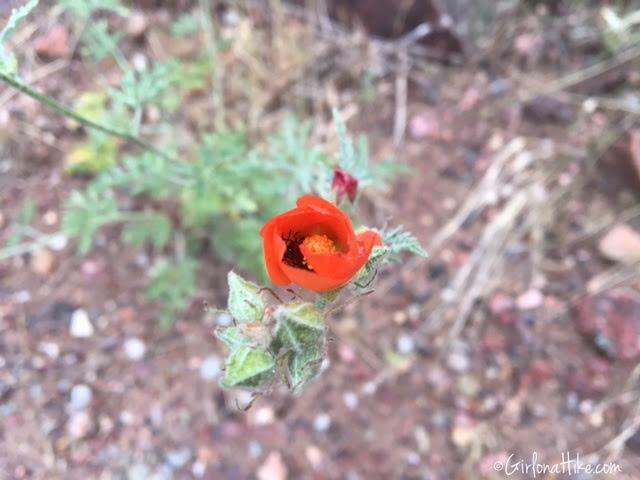 The fruits of this flower are red and fleshy, therefore ground squirrels and other rodents will eat the ripe fruits. 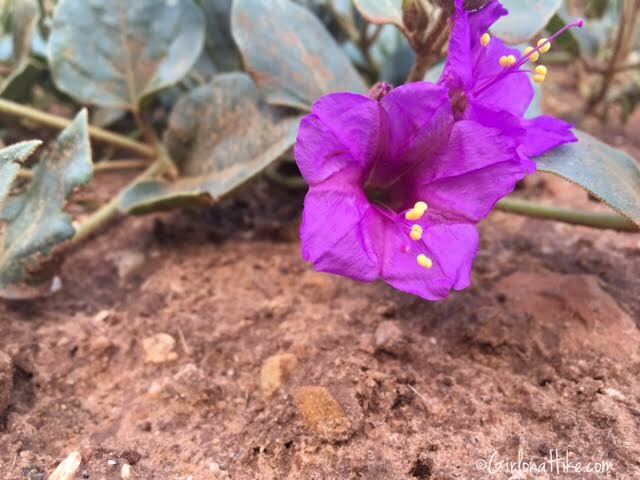 This flower is most commonly found in New Mexico, but also in Arizona.